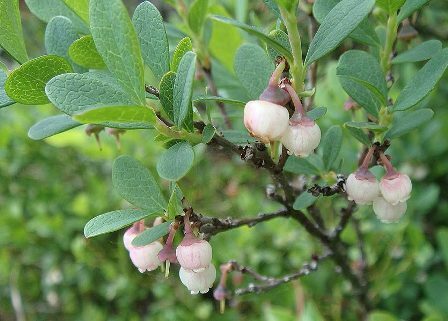 Whortelberry is a plant from very cold areas in the temperate or even low altitude arctic regions of the Norhern Hemisphere. It is found in such geographical areas of Europe, North America and Asia. A small deciduous shrub, upto 10-75 cm tall, rarely 1 m with brown stems, twigs terete, puberulous to glabrous. Leaves scattered; petiole ca. 2 mm, puberulous; leaf blade obovate or elliptic to oblong, 1–3 × 0.6–1.5 cm, papery, abaxially glaucous, puberulous, adaxially subglabrous, secondary veins 3–5 pairs, fine veins evident especially abaxially, base cuneate or broadly cuneate, margin plane, entire, with 1 basal gland per side, apex rounded, sometimes retuse. 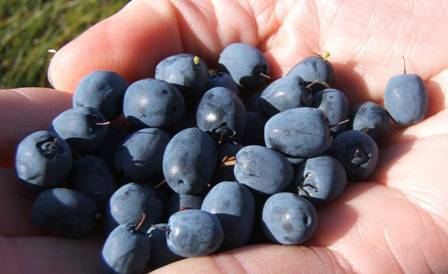 Fruit is a dark blue-black 4 or 5 loculed berry, subglobose or ellipsoidal, with a bloom, 5-8 mm wide, flesh, edible and sweet when ripe in late summer. The berries are edible and juicy. These taste sweet and are believed to be nutritious. Some say that whotelberry fruits can cause headache if eaten in large quantity. The fruit can also be dried and used like raisins. The leaves are also dried and used as tea in some areas. 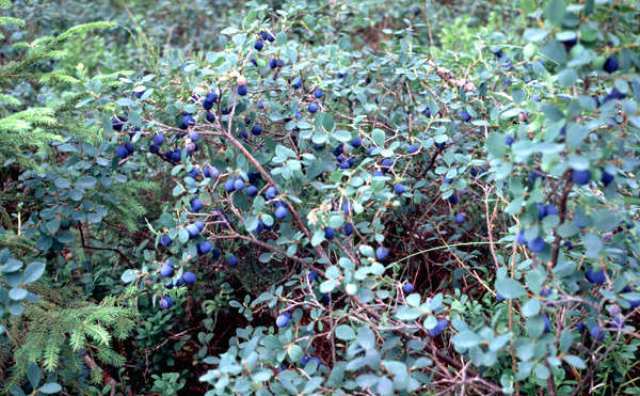 Whortelberry leaves are reported to be antiseptic, astringent, carminative, hypnotic and hypoglycaemic. An infusion of the leaves and sugar is given to a mother a few days after childbirth in order to help her regain her strength. This fruit is mostly collected from the wild and not cultivated. Bot it does not seem toi be difficult to bring it under cultivation. Whortelberry plant seem to require a moist or wet lime free soil, preferring one that is rich in peat or a light loamy soil with added leaf-mould and sunny locations. New plants can be raised from seed which require moist stratification fot 6-8 weeks. Asexual propagation is feasible by layering and cuttings.